Dudley Caving Club: Photographing beyond the sumps......got there in the end! Photographing beyond the sumps......got there in the end! With time fast running out, there were just a few bits and pieces that still needed sorting . On some test dives both mine and Christine’s Peli cases flooded and so all the gear would need to be dived through the sump in dry tubes. For added protection I decided to protect the gear in the same way as I do in the UK and heat seal everything in to bags. Fortunately Ashley was driving to Croatia and kindly took a lot of the heavier camera consumables that I would have otherwise struggled with if I’d had to fly with it. My normal battered and bruised Scurrion lamp was also deemed not up to the job and so I am eternally grateful to Rolf at Scurrion for the sponsorship of a dive version Scurrion for the trip. Christine had already shipped my Apeks dive gear (Also sponsored, see the pattern of thanks and recognition here!) , flash bulbs and walkie talkies, so my packing was looking a little more realistic than normal. 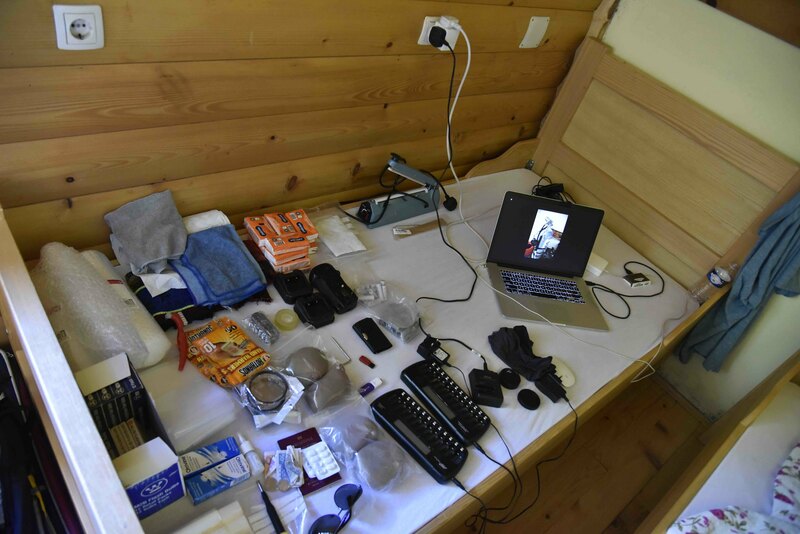 At least it would have if I hadn’t needed to stuff in a bulky wet suit, wellies, helmet, 3 camera lenses, laptop, various chargers etc, etc……still who needs more than one change of clothes anyway! 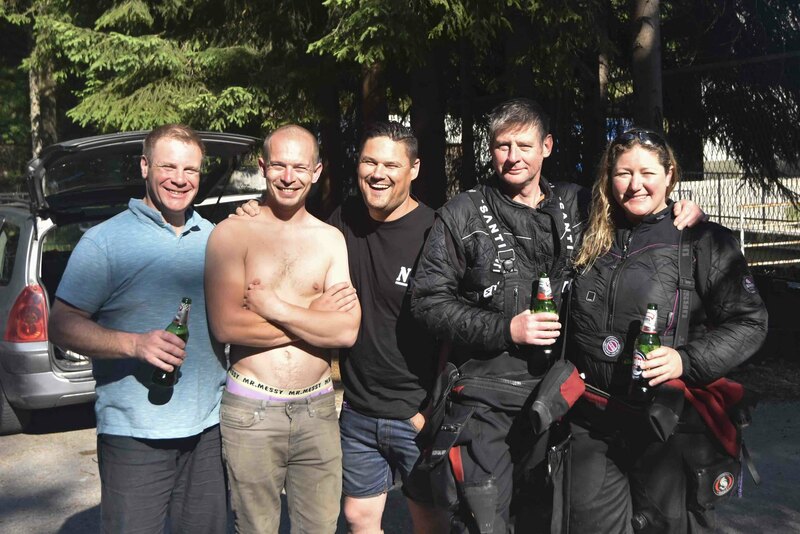 Although I managed to forget my mobile phone, the flight out went smoothly and we were soon being collected by Richard Walker and being chauffeured to Krnica Dive centre where we met up with Ashley and Robbie. 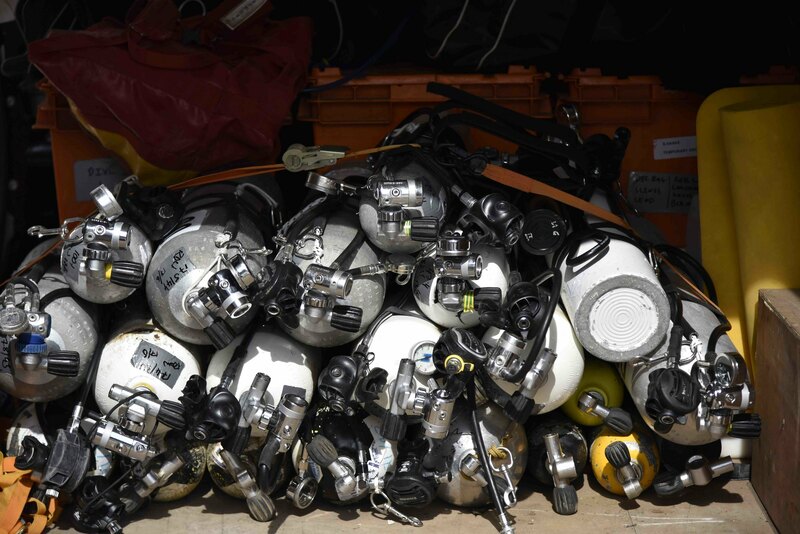 We were soon fettling gear, analysing gas bottles, putting twinsets together and robbing as much lead as we could get our hands on to try and sink the large dry tubes we would be taking. Soon Ash’s van was overflowing with kit and it was time to grab a quick bite to eat and head to Fuzine to the house we would be using as our base for the next few days and hook up with Rick. Ashes van gets loaded to the roof! 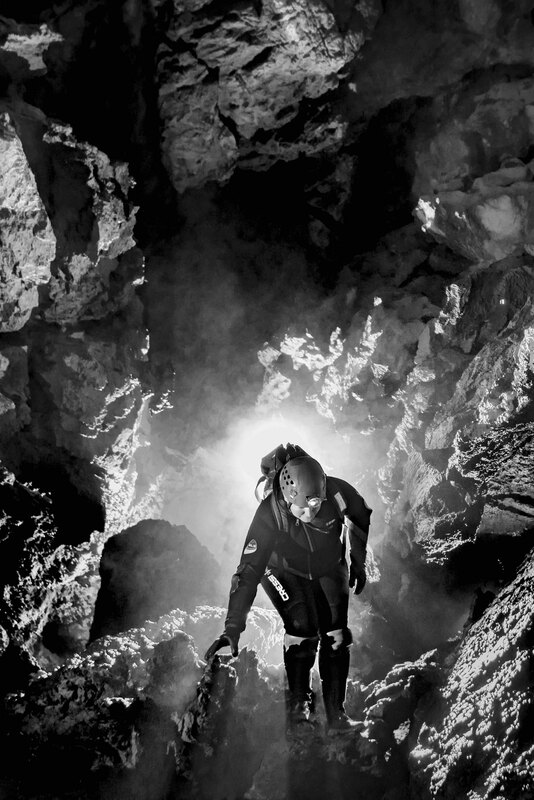 I tested and re-tested every piece of the camera and video kit, sealed everything into bags, ensured there were spares of batteries, cloths, SD cards, added heat packs to make certain the lenses would not fog, just about everything I could think of as once the kit was in the cave there would be few chances for do overs. Priorities, the camera gear gets its own bed! 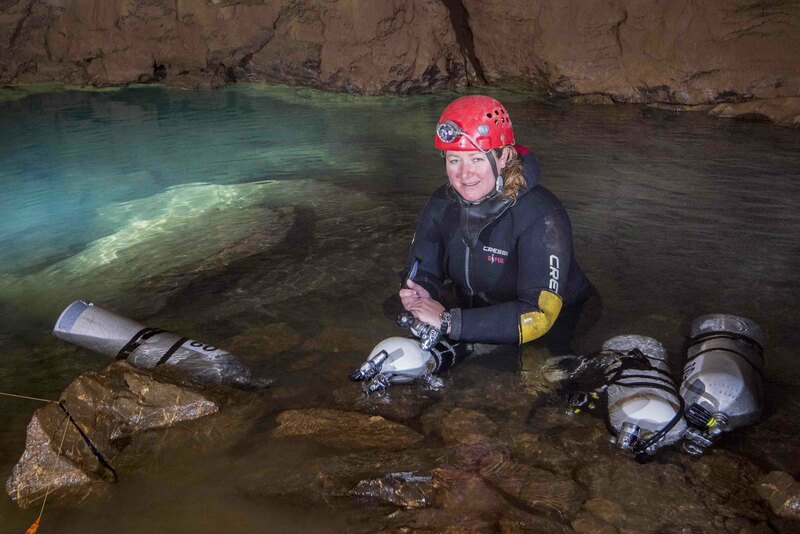 In fact I was so focused on trying to make sure I didn’t mess up on the entire reason I had been invited on the expedition that it didn’t even occur to me to be nervous about the impending cave dive itself! 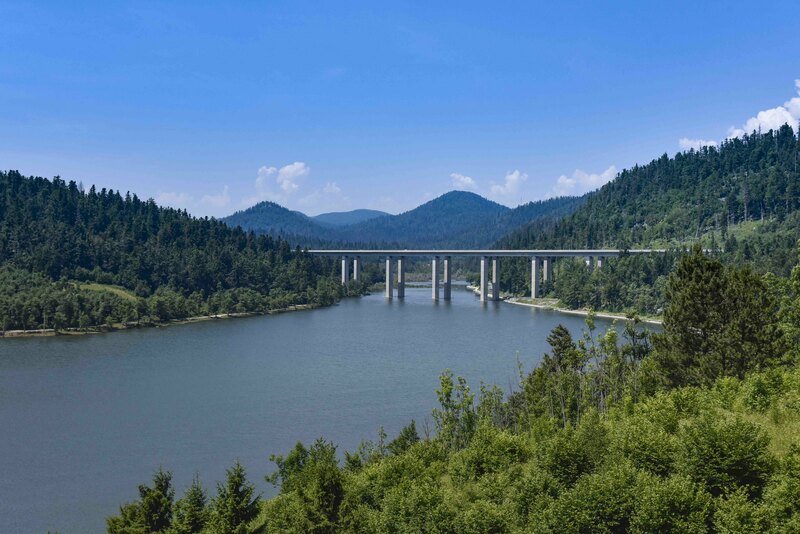 The drive to Licanke was short, only about 10 minutes and in no time we were unloading a vast amount of gear that would need to be dived through the sump. I busied myself by walking my twinset over to the sump pool and went through all the pre checks Christine had taught me., then went back to keeping myself occupied with taking stills and video of the preparation. Finally it was time. I sealed my camera in to the dry tube and hoped it would all go to plan. I hadn’t given the dive a second’s thought until now. I slipped in to the cold sump pool and Robbie dropped the twinset down to me. I would be dived through first, chaperoned by Christine and Rich. I was finally feeling a little nervous. In my training I had never worn a helmet in the water and it felt odd and a little off-putting. Rich went through my buddy checks and the dive plan. He would lead followed by me, and then Christine. I dumped the air from my wing and descended in to my first sump. 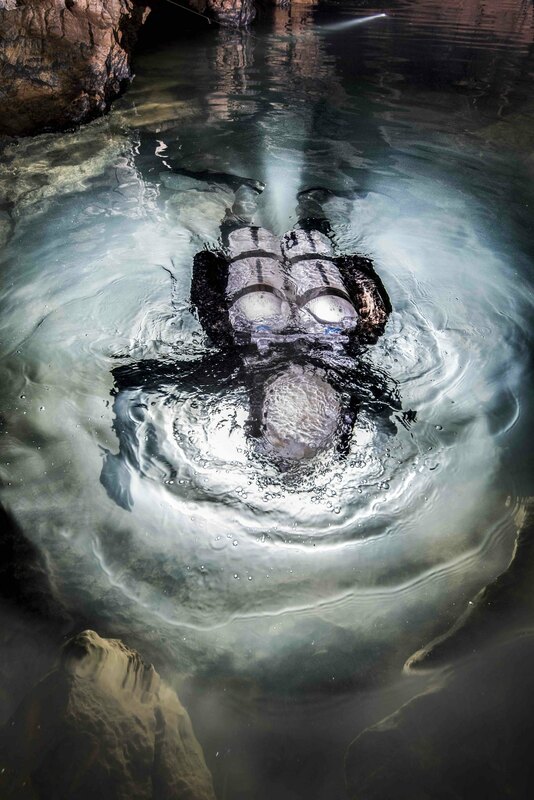 I was very conscious of my buoyancy and keeping the sump line within easy reach, but quickly these became automatic as I marvelled at the clarity of the water and the passage itself. It was almost dreamlike, floating in the flooded passage effortlessly, and all too soon we were surfacing. Christine eagerly asked how I’d enjoyed it and I think my grin from ear to ear must have answered her. Throughout the next couple of days the visibility would deteriorate considerably in the sump, but the enjoyment of diving it would not. Back to the job at hand - the dry tube was brought through and the flooded camera boxes dried out and filled with equipment. 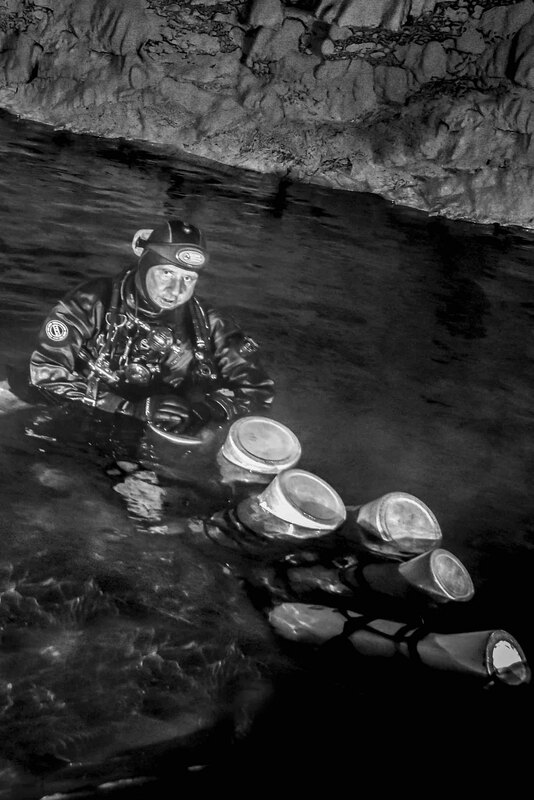 I was possibly more nervous of shooting video than I had been of the diving, but quickly took to the task at hand and begun cataloguing the equipment being dived through, put on to an inflatable raft and scooted across lakes to the large dry cave beyond where it would have to be carried to the 2nd sump. Again we would be mostly shooting video of the gear being hauled. 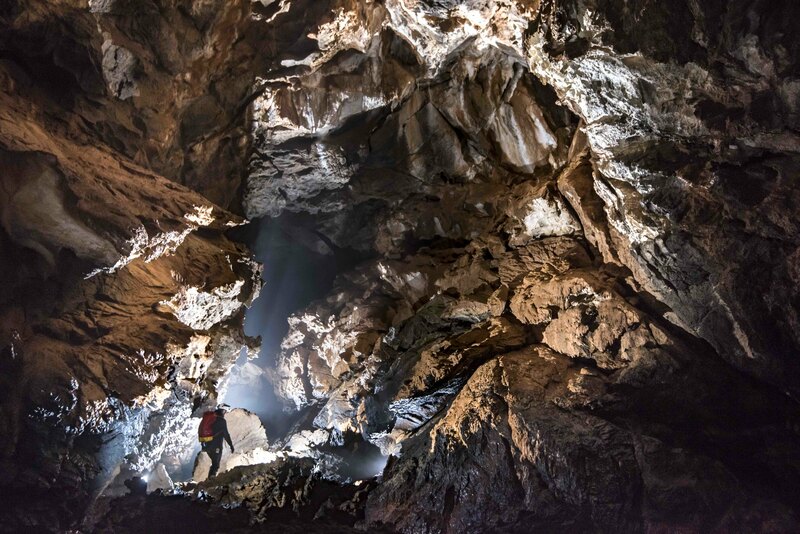 The combination of the fact that the cave had only ever been visited a handful of times and that it will flood during heavy rains meant there would be a lot of loose and moving boulders, which would have to be carefully navigated. 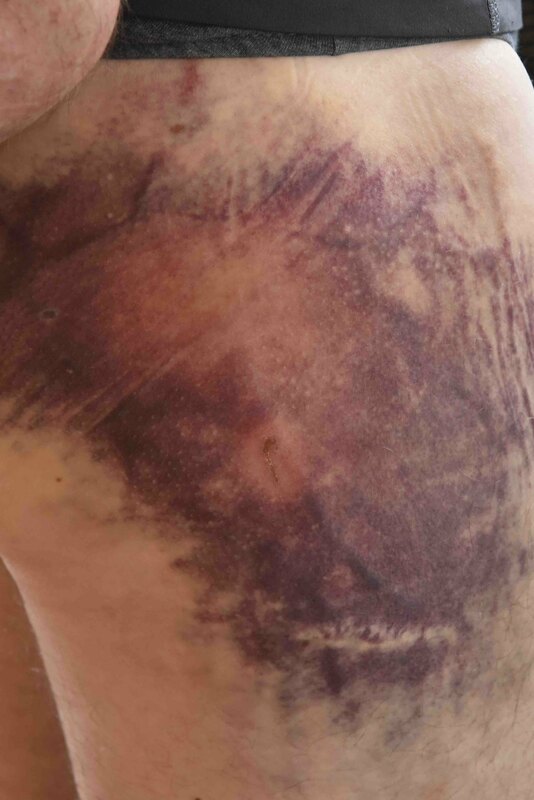 Rich took a tumble at the sump pool just to remind us that an accident beyond a sump is something to be avoided at all costs. Ash dove the decompression bottles in to the sump in preparation for the push dive and once filming of this was complete I was allowed back in my comfort zone to take some stills on the way out. This was what the whole thing boiled down to. Christine and Rich vented their pre-dive nerves by squabbling over who’s neoprene gloves had the holes in them……I kept well out of the way! 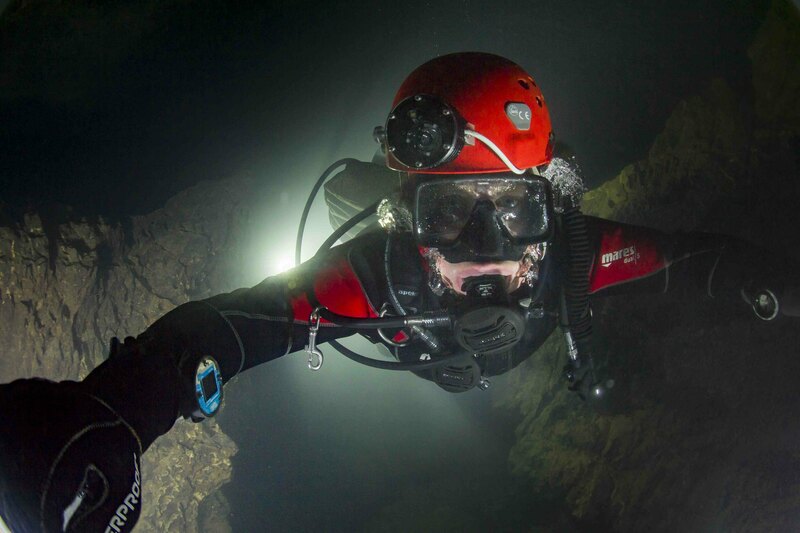 I headed straight for sump 2 to set up the camera whilst Richard and Christine took their time as they were caving in full dry suits and trying their best not to work up a sweat that would cost them valuable body heat on their push dive. 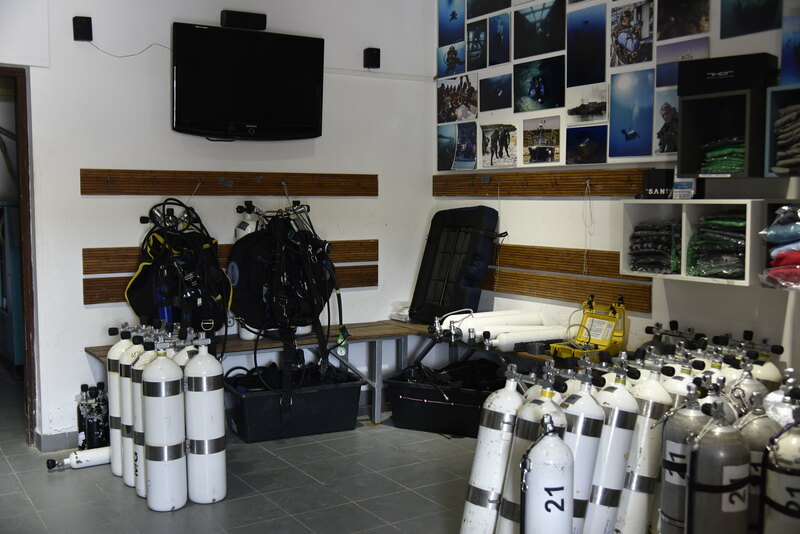 Each diver would have an ‘assistant’ to help them kit up and ensure that everything was checked and re-checked. I tried to get some shots of them for the record, but both were eager to get going before nerves and the cold could take hold. Ashley and Rik had come up with the awesome plan of taking in a jet boil and making hotdogs so we could keep ourselves busy as we awaited the divers return. We knew they were diving a fluid plan that would allow for a maximum of 60m and were expecting them to be around an hour and a half. We spent a little time taking a couple of photo’s and munching hotdogs as the time ticked on….and on. I had been told I would see their lights at the 6m decompression stop well before they would surface which would give me time to set up the video and capture their return. The hour and a half came and went and still no sign. Ashley and Rik seemed slightly less concerned as they happily begun eating the hotdogs and buns that had been put aside for our heroic push divers to celebrate with! At this point a light appeared in the sump pool and we all eagerly took our stations to record their return. Christine and Rich surfaced, excited and full of adrenaline. There had been a ‘moment’ where in zero visibility the line had snagged on of their many tanks and snapped, separating them. This in my training had seemed the scariest thing I could imagine happening, but fortunately both Christine and Rich are well practiced in their drills and recovered the line before it could pose any risk to them. Jubilant, they looked to us for their celebration hot dogs. Ashley looked sheepishly at them and completely lied through his teeth telling them the buns had perished in the water so only a couple of sausages remained for them! 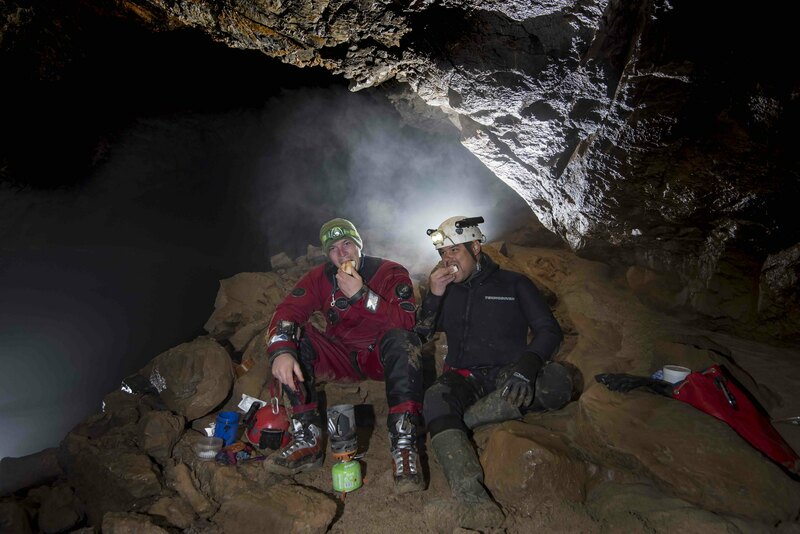 Hot dogs, the perfect caving food! Later that evening the line data was analysed and was found to have yielded 99m of new passage with the end still wide open. Fortunately the passage hadn’t gone deep and had in fact levelled out somewhat, but it would mean that to push further next year, re-breathers would be needed. Don’t you pee in your wetsuit? The final day in Licanke would be spent stripping out all the kit. It would be all hands on deck for this and we soon mastered the best way to perform this by creating chains of people across the various obstacles and passing the kit along. After only a few hours we were packing up the dry tube and trying to get enough weight on it, and failing miserably, for Rich to dive it out. Christine asked if I fancied being scootered through the sump and I agreed. She explained that I would need to keep well tucked in behind her and keep a hold of her harness strap at her tail end. Once the other side I was allowed to play in the sump pool and eventually resurfaced giggling like a 6 year old. At some point talk degraded to weeing in your wetsuit and Christine admitted to releasing often in the cold water. I couldn’t help but think that the sump had seemed a little warmer than usual as she had scootered me through and tried to push the image out of my mind! This has been an awesome experience. I have made some great new friends in Ash, Rick, Robbie, Rich and Christine along the way and got to do something I had never imagined I would be capable of. Craig a Ffynnon. 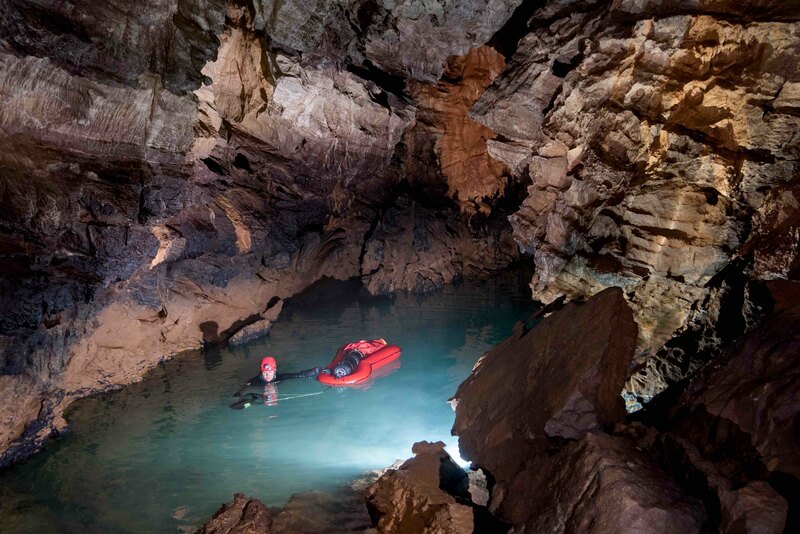 A damp introduction to caving.